Melbourne is renowned for its incredible food and drink culture and it was, in fact, the diversity of this city’s cuisine which inspired us to create Starward. Melbourne would not be the city it is without the laneway bars, café culture, award winning restaurants, chocolates and cakes. This month we intend to celebrate that with Bibelot, South Melbourne for a pairing not to be missed. 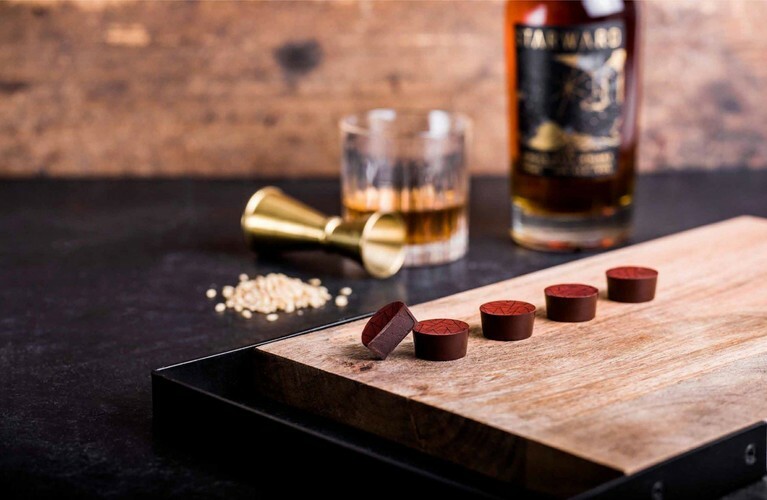 On Wednesday nights, throughout April we will indulge our decadence with a pairing of desserts and drams as Bibelot shows us what they can do with Starward Whisky. We will examine both dessert and whisky production, with guest presenters straight from the kitchen and the distillery. So, get on down to Starward Whisky Distillery and join us for a South Melbourne celebration of desserts, decadence and drams. All Whisky Flight Nights start promptly at the advertised time. Please arrive a minimum of 15 minutes prior to the start. Feel free to order a drink and prop at the bar to make sure you do not miss out on your booked event. If you happen to be running late, ask at the bar where you need to go to join the group.